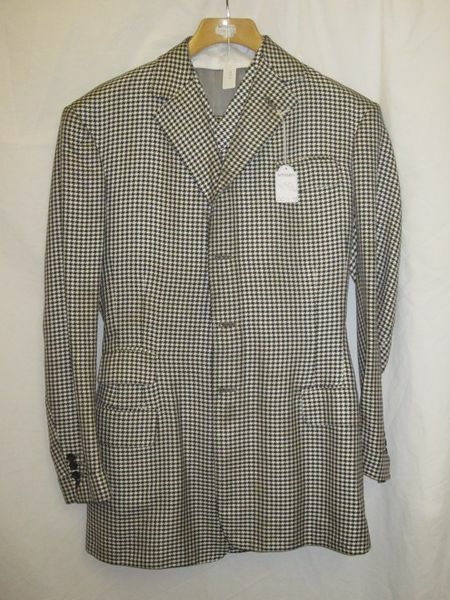 Man's single-breasted casual three-piece suit in black and white hounds tooth check linen. Tailor's label inside front interior jacket pocket, duplicated on waistcoat belt and inside of trousers. Personal details handwritten. 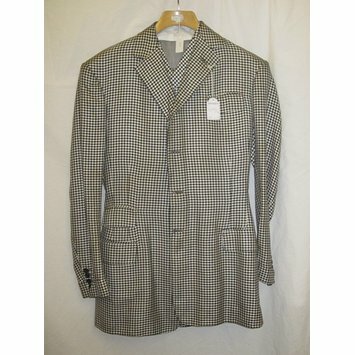 Worn by Bunny Rogers, a flamboyant dandy of the post-war period, who was a particular proponent of the Neo-Edwardian style of the late 1940s and 1950s. Acquired as part of a grouping of his clothing by the Museum in 1998.